We have a large Cowboy dining area for our Wigwam Guests. 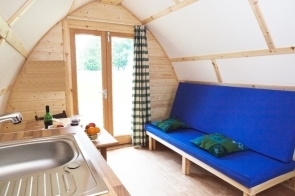 Our Wigwam Kitchen has cookers, hobs and ovens. There are also microwaves, toasters and kettles. The cupboards are full of pots and pans.